Teaching Mindfulness and Yoga to Kids, Mindfulness for Adolescents, Mindfulness and Self-Care for Educators, Mindfulness for Adults, and Complementary Practices and Perspectives. There's such an overwhelming number of books being published these days that I can't possibly keep up, so I decided to reach out to friends and colleagues and compile a list of 'mindful teacher tested' books, recommended by educators and counselors who've used them personally or with their students and clients. There's also a separate post on Mindfulness and Yoga for Young Children: Tips, Books, Apps, and Activities. MindfulTeachers.org receives no financial benefit from books ordered through links on this site. Child's Mind: Mindfulness Practices to Help Our Children Be More Focused, Calm, and Relaxed by Christopher Willard: Advice and instructions for a wide range of mindfulness exercises, along with creative approaches to making everyday experiences more mindful. Go Go Yoga for Kids: A Complete Guide to Yoga With Kids by Sara Weis: Advice for parents, classroom teachers, and professional yoga instructors on how to teach different ages of kids (3-6; 7-11; and tweens and teens) a variety of asanas (yoga poses), active movement, yoga games, and partner poses. Little Flower Yoga for Kids by Jennifer Cohen Harper: "Gentle yoga practices to help kids pay better attention and balance their emotions, while building physical strength and flexibility." The Mindful Child: How to Help Your Kid Manage Stress and Become Happier, Kinder, and More Compassionate by Susan Kaiser Greenland: Instructions and activities for the most effective ways to teach—and model—mindfulness to kids. Planting Seeds: Practicing Mindfulness with Children by Thich Nhat Hanh and the Plum Village Community: Instructions for dozens of mindfulness activities and noncompetitive games, which would be appropriate for classroom use or at home, summer camp, Sunday school, etc. A Still Quiet Place by Amy Saltzman: An eight-week mindfulness curriculum, with a balance of sitting practice, mindful movement, and compassionate discussion, along with comprehensive guidelines on how to teach mindfulness. Teach, Breathe, Learn: Mindfulness in and out of the Classroom by Meena Srinivasan: Mindfulness practices for busy teachers, as well as an eight-week mindfulness curriculum for students. The Best Children's Books About Mindfulness: In this interview, Meena Srinivasan, an expert on mindfulness-based social-emotional learning, gives suggestions for the best books to introduce children and adolescents to mindfulness concepts and practices. Children's Author Emphasizes Mindfulness and Self-Acceptance: Interview with Sarah Krafchuck, author of Love to Be Me!, I Am. Magical Me!, and The Hue in You. Children's Author Explains How to Tame a 'Want Monster': Interview with Chelo Manchego, author/illustrator of The Want Monsters and How They Stopped Ruling My World and Little Royal: A Fish Tale. Children's Author Teaches Yoga, Mindfulness, and Compassion: Interview with Susan Verde, author of I Am Yoga, I Am Peace, and The Water Princess. Children's Book Helps Kids Cope with and Grow from Failure: Interview with Tamara Levitt, author of Happiness Doesn't Come from Headstands and The Secret to Clara's Calm. Mindfulness and Self-Compassion for Children and Healers: Interview with Dr. Heather Krantz, author of Mind Bubbles: Exploring Mindfulness with Kids and Heart Bubbles: Exploring Compassion with Kids. Mindfulness, Creativity, and the Five Senses: Interview with singer Sarah Lessire, author of The Scent of Dreams. A New Series of Children's Books about Mindfulness: Interview with Tracy Bryan, creator of a series of photo-illustrated mindfulness books for kids. Multiple Intelligences Lead to Mindfulness Interview with Kathleen Hackett, author of Mindfulness! Not Mind Full Nest! The Autism Playbook for Teens by Irene McHenry and Carol Moog: Mindfulness-based activities to help kids with autism recognize and regulate their feelings and behavior. Compassionate Critical Thinking: How Mindfulness, Creativity, Empathy, and Socratic Questioning Can Transform Teaching by Ira Rabois: In this instructional approach, the teacher's role is to foster a safe, supportive community for youth not only to increase their knowledge but also to develop the wisdom that will help them live a meaningful life. A Mindfulness-Based Approach to Working with High-Risk Adolescents by Sam Himelstein: Dr. Himelstein urges therapists to think of mindfulness not as a "technique" but as "a more holistic approach to working with other human beings." This includes teaching mindfulness formally and informally, as well as "the application of mindfulness for therapists themselves to develop personally and professionally." Mindfulness for Teen Anger Mark Purcell & Jason Murphy: "So many anger management strategies fail because all the attention is on making you change what you do… but to change what is happening on the outside, we need to look deeply at what is happening on the inside." Mindfulness for Teen Anxiety by Christopher Willard: Mindfulness practices to help teens deal with common stressors like test anxiety, dating, peer pressure, and tension with siblings. The Mindful Teen by Dzung Vo: Adolescent-friendly versions of all the classic mindfulness practices, including breathing, body scan, mindful eating, and mindful movement. Mindfulness-Based Substance Abuse Treatment for Adolescents by Sam Himelstein and Stephen Saul: Rather than lecturing kids about why they shouldn't do drugs, they're "encouraged to contemplate why they actually use the drugs that they do" and are taught techniques for dealing with cravings and peer pressure. What Works with Teens by Britt Rathbone and Julie Baron: How to work effectively with adolescents whose brains are still developing, who haven't yet learned to handle strong emotions, and who may push away our attempts to help them. The Courage to Teach by Parker J. Palmer: "This book is for teachers who have good days and bad, and whose bad days bring the suffering that comes only from something one loves." Everybody Present: Mindfulness in Education by Nikolaj and Didde Flor Rotne: Instructions for beginning a personal mindfulness practice and then introducing mindfulness to students. Mindful Teaching and Teaching Mindfulness by Deborah Schoeberlein: A solid introduction to mindfulness practice, designed for teachers to use ourselves and/or with our students. Buddha Standard Time by Surya Das: “It’s not time that we lack in our rushed lives, but focus.” Traditional Buddhist teachings can help us face the challenge of remaining present and focused in our increasingly fast-paced, frenzily-scheduled world. In This Moment byKirk Strosahl and Patricia Robinson: Recent research about the neuroplasticity of the brain; "brain training" exercises to increase our skillfulness in the five facets of mindfulness. Mindful Discipline: A Loving Approach to Setting Limits and Raising an Emotionally Intelligent Child by Shauna Shapiro and Chris White: Suggestions for mindfully dealing with typical parenting challenges, along with fourteen Mindful Awareness Practices, some of which are specifically designed for parents. Myths of Being Human: Four Paths to Connect with What Matters by Brandi Lust: an eight-week training program on mindfulness, gratitude, growth, and connection. It can be used as a self-directed program, the core text for a facilitated group, or as a supplement to an existing mindfulness class. The Practicing Happiness Workbook by Ruth Baer: A series of mindfulness skills we can practice in order to give greater meaning and purpose to our lives, enjoy positive situations more fully, and effectively cope with unpleasant situations. Sit. Walk. Don't Talk. How I Survived a Silent Meditation Retreat by Jennifer Howd: Howd's no-holds-barred account of her own experience helps dispel some of the popular misconceptions about meditation and gives potential retreatants a realistic sense of what to expect. True Refuge: Finding Peace and Freedom in Your Own Awakened Heart by Tara Brach: "A courageous engagement with the reality of our experience" will free us "to live fully what is here, and to respond wisely." Self-Compassion by Kristin Neff: Techniques for being gentler with ourselves and for correcting behavior without shaming. Yoga Sparks by Carol Krucoff: 108 “micropractices” that focus on the four main aspects of yoga: posture, breathing, meditation, and ethical behavior. Aging as a Spiritual Practice by Lewis Richmond: Becoming mindful of our own aging process forces us to pay attention to our mortality and our disappointments, but it can also be an opportunity to pay attention to our accomplishments and to prioritize how we want to spend the remainder of our lives. Deepening Engagement by Diane Millis: "Regardless of who we are or what we do for a living, each of us has opportunities to listen, lead, and contribute to shaping a better future." The Qigong Workbook for Anxiety by Kam Chuen Lam: Gentle exercises for relaxed breathing, improved posture, and reduced muscle tension. Quiet: The Power of Introverts by Susan Cain: "Our culture rightly admires risk-takers, but we need our 'heed-takers' more than ever...The next generation of quiet kids can and should be raised to know their own strength." Yearnings: Embracing the Sacred Messiness of Life by Irwin Kula: Those times when we feel most overwhelmed and confused by “the too-muchness of life” can be our greatest opportunities for wisdom and innovation. 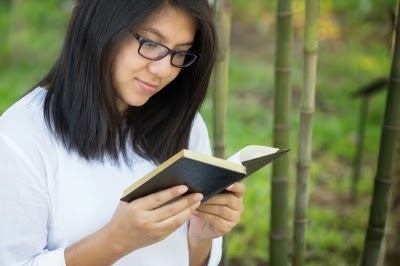 Zen Gifts to Christians by Robert Kennedy: Each “gift” of Zen (for example, Self-Mastery) is connected to Christian teachings as well as a variety of western cultural references. HI, how did you contact the author for the hard copies for your students? Thanks! Thanks for this recommendation, Pallavi!